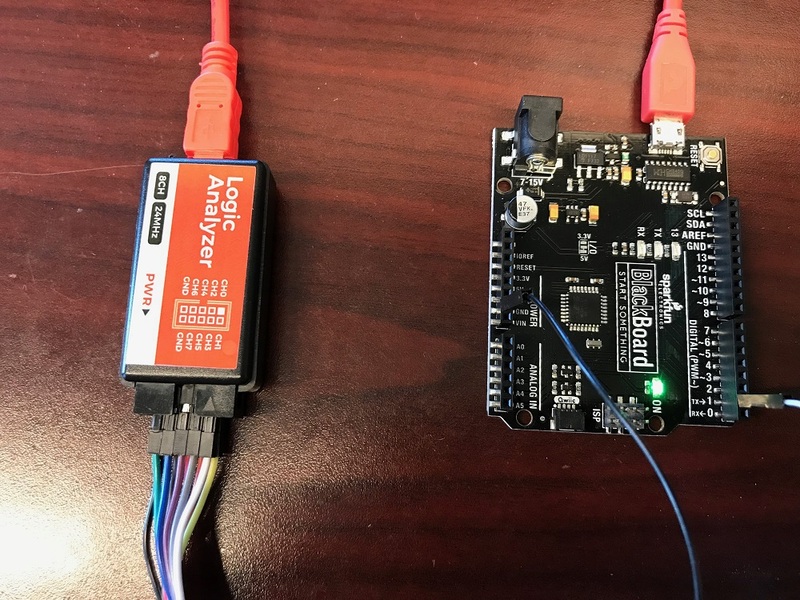 An 8-channel, 24MHz USB logic analyzer for under $20. What a deal! 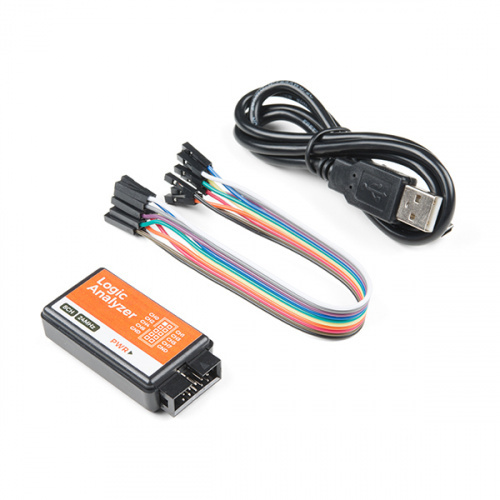 But a USB logic analyzer (LA) is only as useful as the software required to configure and monitor the tool. There are a few software options available for this USB logic analyzer; in this tutorial we aim to familiarize you with sigrok's PulseView. 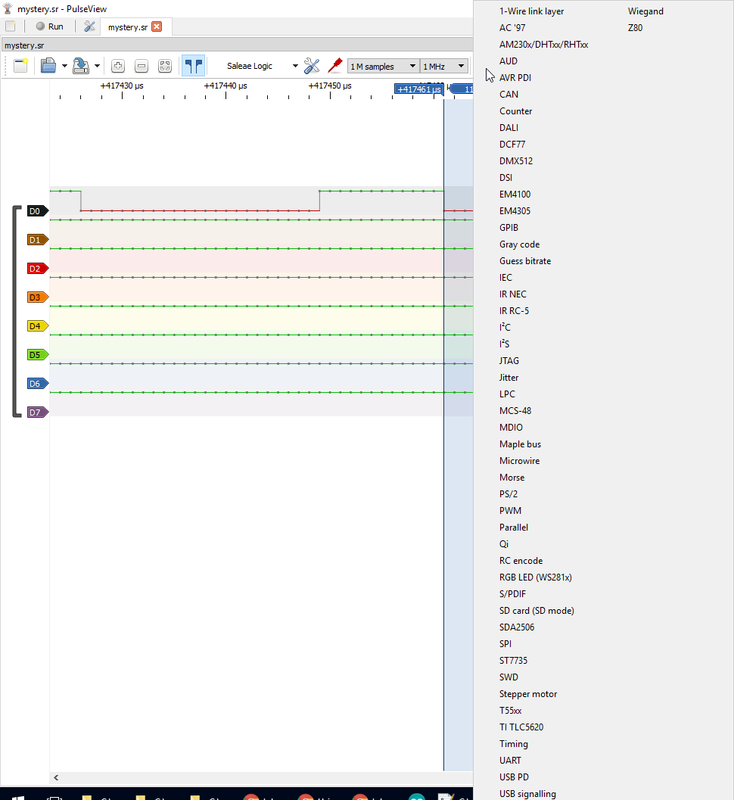 PulseView -- A logic analyzer front end with a simple GUI. sigrok-cli -- A command line interface for sigrok -- useful for scripting tests or running on a headless machine. fx2grok -- A collection of open-source hardware LA layouts, schematics, and BOM's. 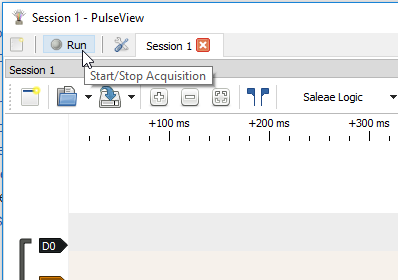 With an eye towards logic analyzers, this tutorial will focus mostly on PulseView. Windows users can run the installer executable (pulseview-NIGHTLY-32bit-static-release-installer.exe) to install the software on your machine. The Mac installer is a binary disk image (DMG), which can be dragged into your Applications folder, for example. Once installed open PulseView -- the GUI frontend for sigrok. 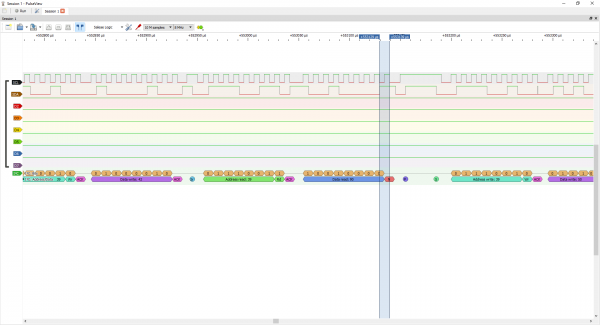 With PulseView open, plug in your USB Logic Analyzer. You should see faint red and green LEDs illuminate under the sticker. Click the "\" dropdown menu. 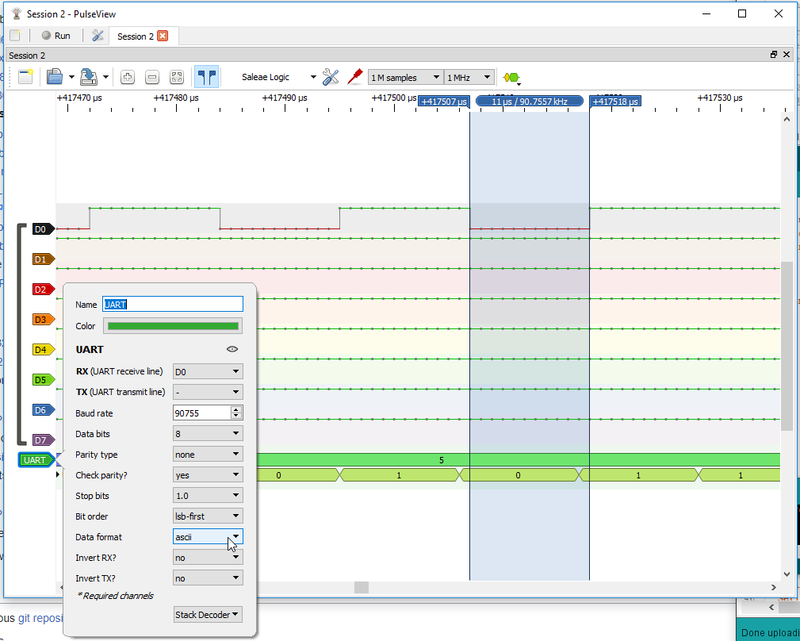 Select fx2lafw (generic driver for FX2 based LAs) from the dropdown. Select "Logic with 8 channels" and click "OK"
You'll be greeted with a blank slate of eight colorful bands of logic channels, numbered D0 to D7 (these match the CH0-CH7 labels on the LA). Click the Run button in the top-left of the window to beginning scanning. With the sampling parameters set as default -- 1M samples, 20kHz -- it'll take almost a minute to gather all million samples. You can hit "Stop" to end the scan early. Unless you've already connected a few channels and grounds, this first scan will probably not be that interesting. 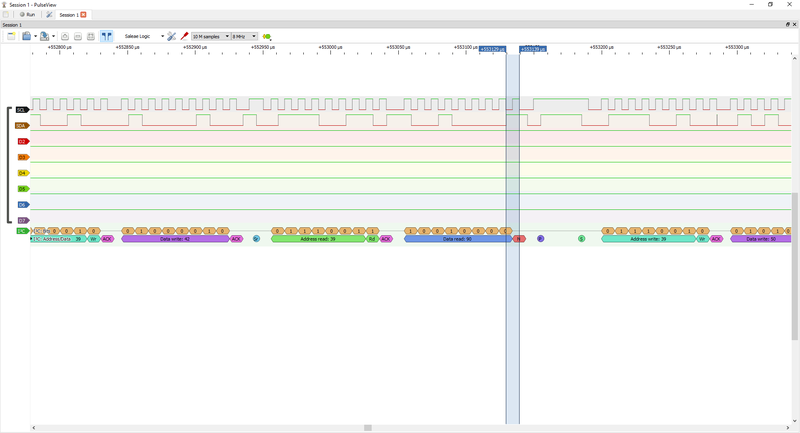 Load that onto an Arduino, then connect the logic analyzers "CH0" to your Arduino's TX pin (pin 1). Also connect on of the GND wires to GND. Before scanning, bump up the sample rate to 1MHz and change the sample quantity to 1 M samples. Depending on what you're trying to analyze, these dropdowns may get a lot of use. With those values set, hit Run. You should be greeted with a seconds worth of samples, and a few blips on the D0 channel every 250ms. You can use your mouse's scroll wheel to zoom in and out, or use the "+" and "-" buttons on the toolbar. Zoom into one of the blips. Now it's your job to guess the baud rate! The Show cursors (pair of blue flags icon) tool can be useful for measuring time. Click that, then try to place the cursors around one bit of the transmission. The measured frequency should be our mystery baud rate! To decode the string, use the Add low-level, non-stacked protocol decoder tool (looks like yellow and green decoded signals). 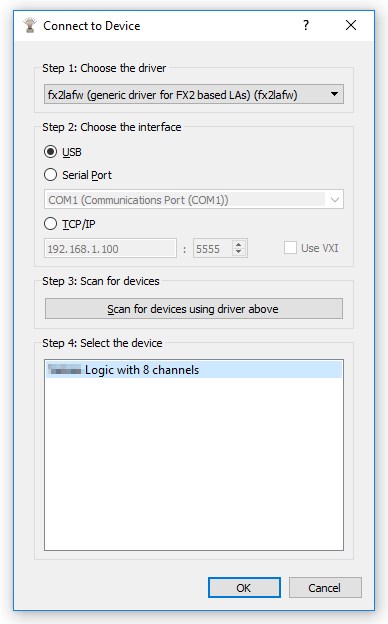 Then select UART -- note that a huge list of protocols pops up here, including I2C, I2S, SDIO, and SPI. Click the green "UART" icon that appears towards the bottom-left and change the baud rate to your measured frequency. 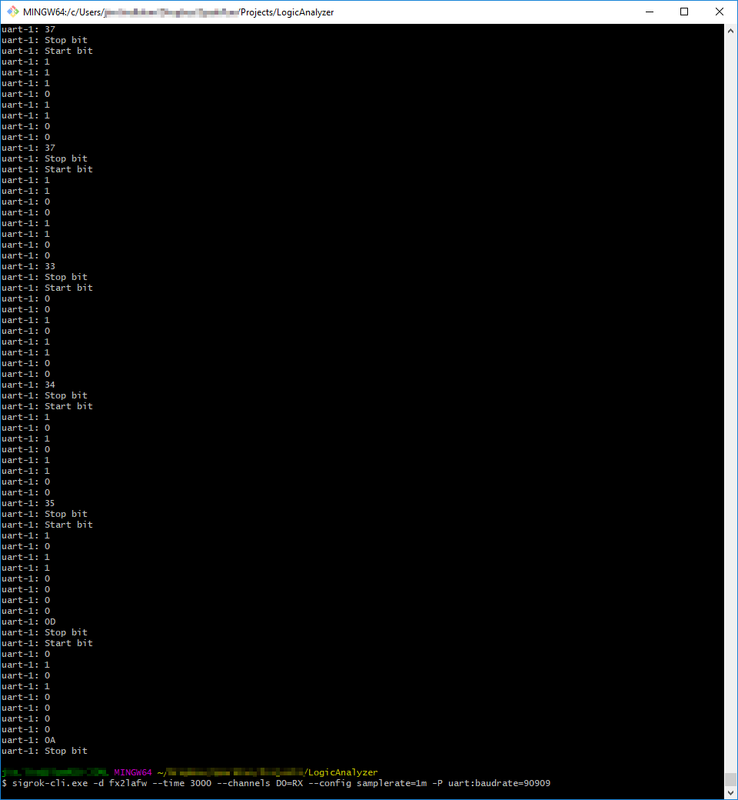 You can also change the data format to ascii to make the data easier to parse. 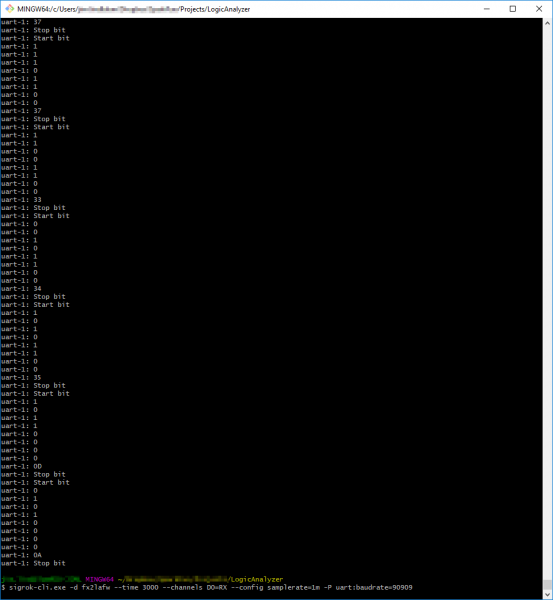 Now if you zoom out you should see your serial prints decoded! 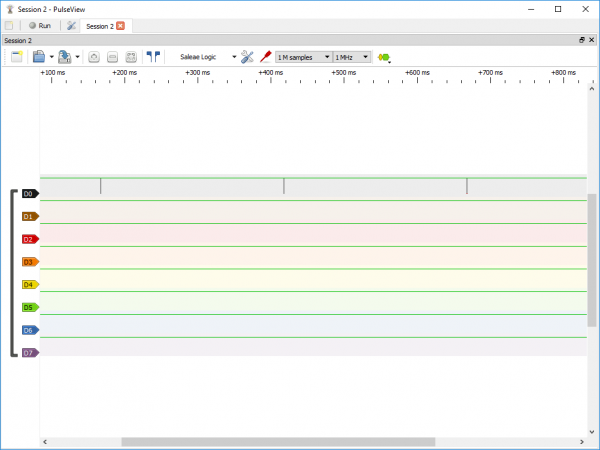 To decode a UART connected to channel 0. The CLI has a lot of potential for automation, and the main page is super-helpful! As you venture into this world of logic analyzing, be sure to try out all of PuseView's protocol decoders and features. 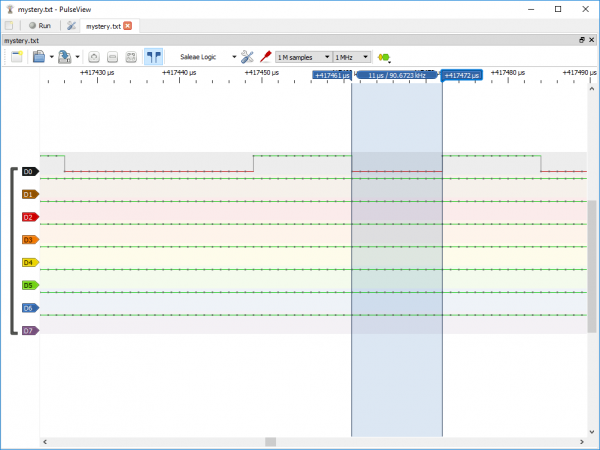 It's a great software tool and has a powerful open-source community behind it.